On the long countdown to your wedding day (which admittedly won’t feel anywhere near as long as you need), money matters surround every aspect of the planning process. From the big stuff like the venue, the catering and, of course, the dress, to the finer details such as rings, favours and other proverbial confetti, everything costs something – or at least, that’s what you’ve likely been led to believe. Today, we’re ditching wedding cliches and unnecessary expenses – helping thrifty brides and grooms plan an opulent ceremony and reception on little more than a shoestring through the art of cutting corners without ever having to lower their expectations. 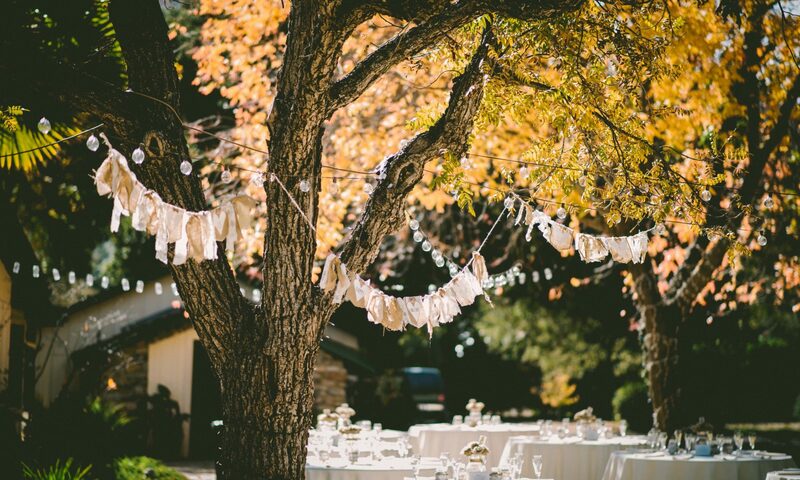 Forget everything you thought you knew about low-budget weddings. And if you’re looking to learn more about the pros and cons of taking out a personal loan for a wedding, we can help with that, too. Buying everything new can make a big, unwanted dent in your wedding financing, and could be totally unnecessary where opportunities exist to borrow elements of your decor or wedding wear from a previously betrothed friend. Seek out friends and family who’ve forked out on dream wedding details in the past – such as centrepieces, cake stands, tiaras and veils – and help them get more for their money by borrowing these items on your big day. Takeaway wedding favours aside, when it comes to wedding ideas on a budget, there are endless options when it comes to the favours you can ask of talented friends and family members. A professional wedding photographer can cost a small fortune, but enlisting a photographically inclined guest to trade some time on the dancefloor for a chance to take some action shots of the reception won’t cost you a thing. Similarly, foregoing the hefty price tag that comes with a shop-bought, three-tier wedding cake for a homemade alternative from your family’s resident culinary master will make for some welcome savings and give your wedding some rustic authenticity. The world of weddings is fit to burst with tradition, etiquette and unwritten rules – but choosing to liberate yourself from ‘the done thing’ can create infinite possibilities when it comes to rewriting the wedding handbook for your own big day. For example, it’s common knowledge that Saturday is the most popular day of the week for a wedding to take place – but opting for, say, a Friday or Sunday instead could allow you to take advantage of the ‘off-peak’ prices that come with going against the norm. You could also look to consolidate your ceremony and reception in a single venue rather than going for the typical church ceremony and off-site reception format – an alternative that will save money on an additional wedding venue, as well as transport and more. In the same vein as your other efforts to borrow and cash in on favours, there’s no reason your entertainment options should be off-limits when it comes to getting something for nothing. If you know any aspiring DJs, singer-songwriters or band members, you could look to offer them a gig where they can hone their craft and gain some welcome exposure in exchange for providing you with priceless wedding entertainment that hasn’t cost you a penny. Alternatively, if DIY entertainment isn’t an option you can pursue, there are plenty of affordable and creative wedding entertainment options out there that are sure to make your special day as memorable and cost-effective as possible. Whether it’s catering for the reception, dresses for your bridesmaids, flowers for the ceremony or favours for tables, if you don’t ask, you won’t get – so seize the chance to sharpen your haggling skills and you may find that there’s ample wiggle room on some of these essential purchases. Of course, there will be certain elements of your wedding you inevitably have to pay for but, where costs are unavoidable, you can make it your mission to negotiate the best price possible from each provider. 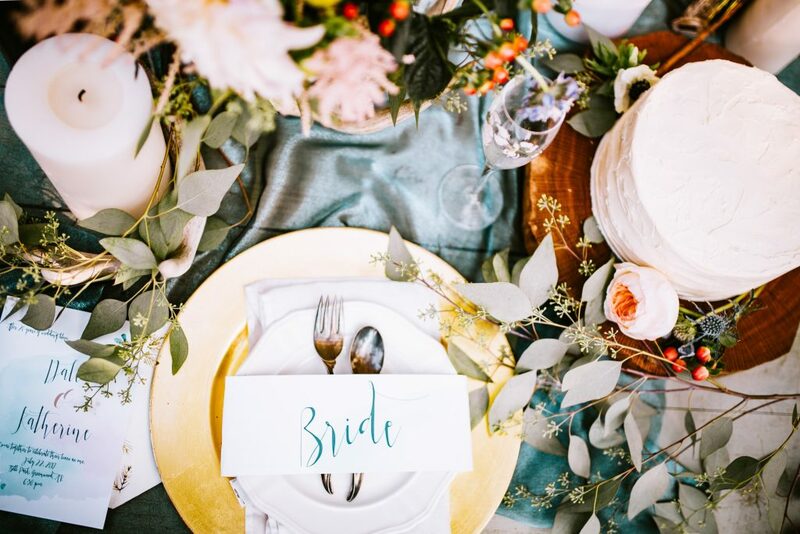 Whether it’s catering for the reception, dresses for your bridesmaids, flowers for the ceremony or favours for tables, if you don’t ask, you won’t get – so seize the chance to sharpen your haggling skills and you may find that there’s ample wiggle room on some of these essential purchases. Budgeting is quite literally a numbers game and, when all else fails, you could always take a selective approach to your guest list and shave precious pounds off the total cost of your wedding. Rather than inviting everyone you know, consider narrowing the pool to a privileged circle of close friends and family members – transforming what could’ve been an extortionately priced wedding extravaganza into a cosy, intimate event surrounded only by the people you love most. Dream weddings are in the eye of the beholder, and by no means rely on opulent decorations, Michelin-starred catering and designer wedding wear. Instead, all that’s important is putting together a day you and all of your guests will remember for years to come. If you’re still worried about how you’ll afford the wedding day you’ve always dreamt of, personal loans can be used to cover the cost of your big day. Before you commit to an application, though, you’ll need to read the small print – and you can find all that and more on our dedicated wedding loans page.